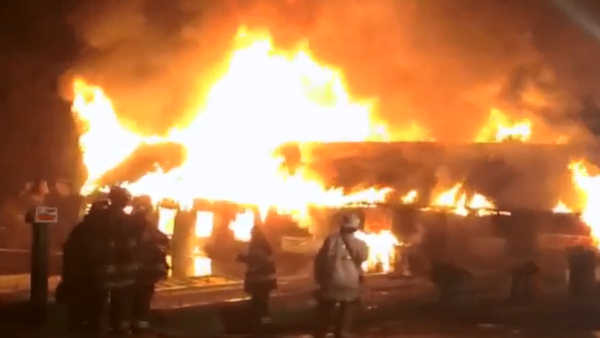 GREENVILLE (WABC) -- An investigation is underway into what sparked a three-alarm fire at a business in Westchester County. Officials say the fire broke out at the Sprainbrook Nursery on Underhill Road in Greenville at about 9 p.m. Sunday. Last year, the same plant nursery and gardening center was damaged by a fire, when a propane tank exploded. Crews from several fire departments were on the scene of last night's fire.